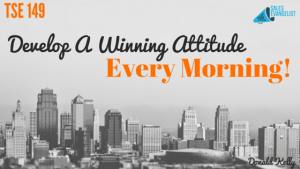 Home » TSE Podcast Post Page » TSE 149: Develop A Winning Attitude Every Morning! Your attitude will have a tremendous impact on the way you perform. Do you believe that? I sure do and that is why I did this episode. I’ve been the lab test dummy on this experiment already. I have done everything right to have a great morning and saw significant results. It was like everything I touched, turned to gold. I found new opportunities, got past the gatekeepers, received referrals, and closed deals. I have done the opposite, as well, where I did not start off the morning right. I slacked off on the information I looked at and did not develop a positive attitude. Those were the days where it seemed as if the world was conspiring against me. Prospects were mean, I could not find opportunities or develop interest with potential buyers, I lacked confidence, I did not get referrals, and it was as if deals were just falling apart. So what did I learn? Your attitude makes a big difference. In this episode, I share my morning routine for success. 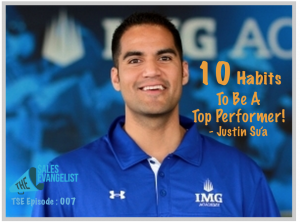 I also refer to a couple of earlier podcast episodes I did with Justin Su’a and Ralph Quintero on winning your mornings and developing a positive attitude. Check them out below. 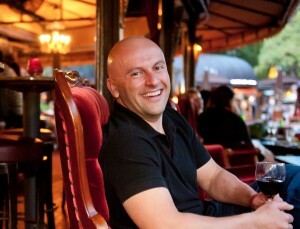 Episode: TSE Episode#2: Attitude of Success with Ralph Quintero! Now, as you listen to this episode, feel free to reach out to me and share your morning routine. 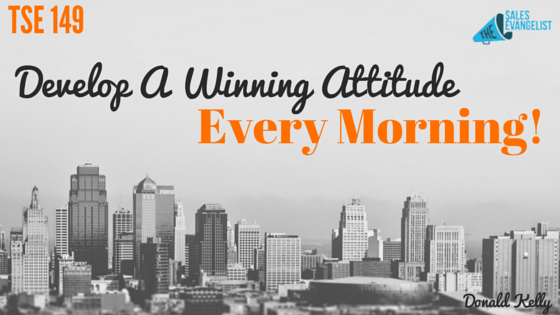 Let me know what you do, or plan to do, in order to win your mornings and develop a successful attitude. Send me an email donald@thesalesevangelist.com. You can also join the conversations in our private Facebook group. Join for free today. Overall, I want you to be successful by going out and doing “BIG THINGS”!